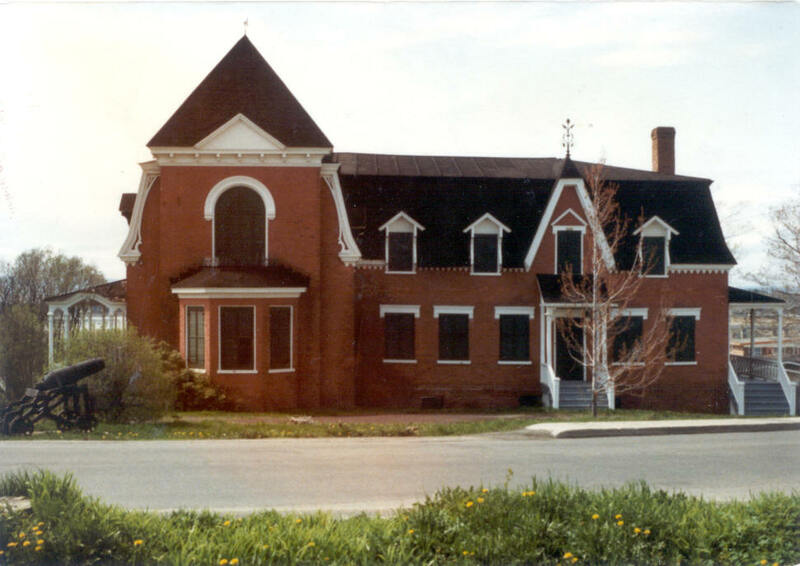 In 1986, the Chamber of Commerce of Rivière-du-Loup, in response to a request from town citizens to save the manor, formed a committee of several local organizations and municipal representatives. A number of ideas were put forward. Some saw the manor as a potential tourist attraction, others viewed it as a good place to house organizations with an economic vocation, while still others wanted it to have a social function, or to promote the arts. Unfortunately, a consensus could not be reached. The Manoir left vacant, circa 1990. In August 1988, the Chamber of Commerce of Rivière-du-Loup transferred the file to the Société d’histoire et de généalogie, which had already begun its own actions. This local historical and genealogical organization was determined to turn the manor into a centre where local history could be featured and shared. The president, Marcelle Savard, began discussing and collaborating with The Canadian Heritage of Quebec (CHQ). 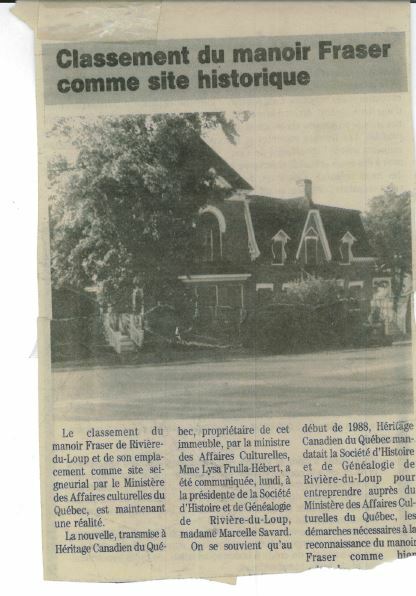 Newspaper article from 1989 about the actions of the La Société d’histoire de Rivière-du-Loup to preserve the Manoir. With the support of the CHQ, the Société d’histoire also approached the Quebec Ministère de la Culture et des Communications to have the manor classified a heritage site, ensuring its preservation. It was only in February 1991, after years of effort and perseverance, that the seigniorial domain was finally recognized and designated as a heritage site. Newspaper article published in 1991 announcing the classification of Manoir Fraser as a protected historical site. However, the lack of human and financial resources remained a problem, and the Société d’histoire et de généalogie considered withdrawing from the project. In spite of all the efforts made, the restoration of the manor in the short term was far from guaranteed.